Having already lined up summer festival appearances and fall dates south of the border, the Glorious Sons are keeping the pedal to the metal with the announcement of a headlining Canadian tour. The run of dates on home turf, kicking off October 30 in Kamloops, will see the group supported by the Beaches (save the tour's opening date). The tour will keep the bands on the road until November 22, when they'll play Toronto's Scotiabank Arena (f.k.a. Air Canada Centre). Tickets go on sale to the general public July 20 at 10 a.m. local time. You can find a complete itinerary below, in addition to a look at the Glorious Sons live with a clip of "S.O.S. (Sawed Off Shotgun)" played in their native Kingston, ON. 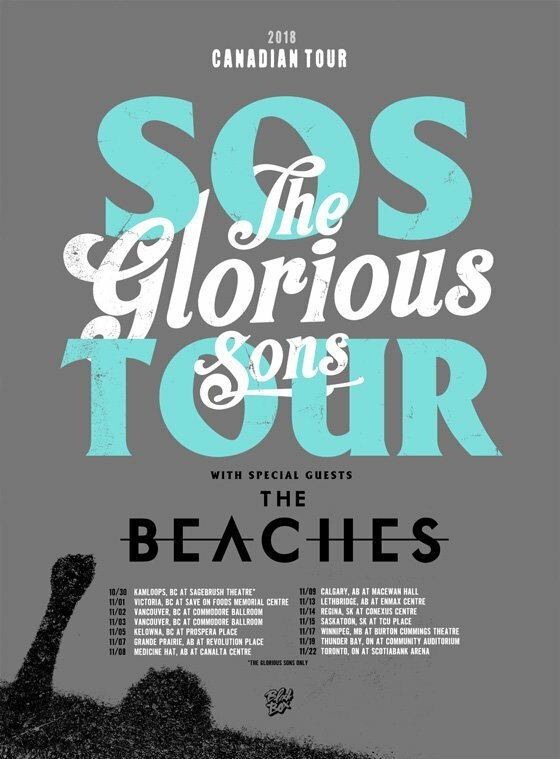 You can also see the Glorious Sons' various summer stops, as well as their upcoming U.S. dates, over here.